Our ‘Hot Cocktails of Winter’ Series continues with a warm treat from south of the border. Combining apple cider, cranberry juice, tequila and a hint of orange. Heat the cider and cranberry juice in a shallow saucepan. Remove from heat as steam begins to rise, do not boil. Add the tequila and triple sec. 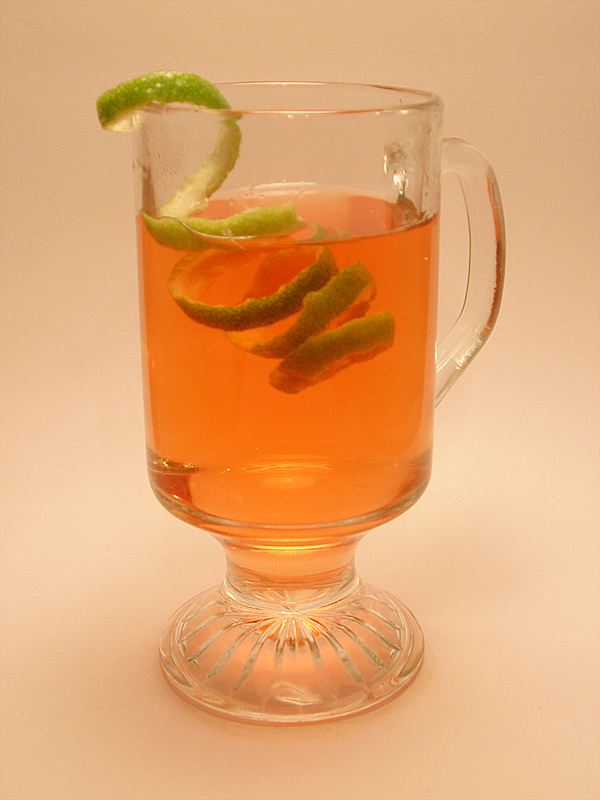 Pour into a warm mug and garnish with a twist of lime.